Lets just hope sure they don't pull any more "Drill, Baby Drill" cards. You know what, this is like Jumanji. Someone found this mint condition game in a spooky attic, played it and drew a "major oil spill hazard card". Let's just hope the new owner does not decide to play it as well. It's still a game to them. 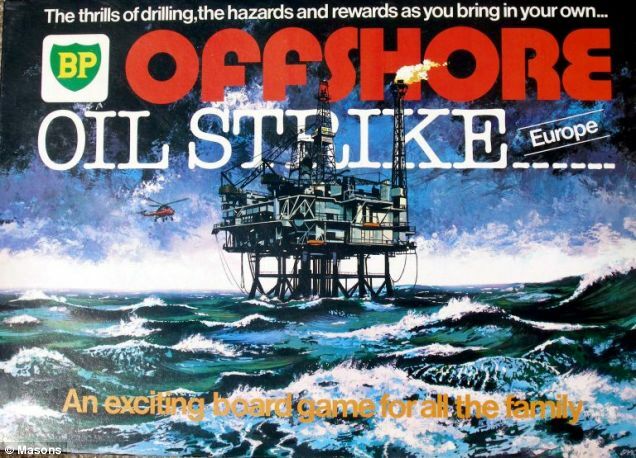 "BP's Completely Real Oil Drilling Board Game"